Our Fabric Friday Challenges have been weekly. Before we get to this week’s challenge lets announce the winner from Challenge #4. ♥ Post any project of your choice as long as you use fabric on it. If using Ribbon alone the ribbon must be at least 18 inches wide to be considered fabric. Entries that do not follow the rules will not be approved and deleted. I will no longer email you and tell you that rules were not follow. If your entry does not appear within a few hours (except overnight remember I'm on EST), please double check that you have followed all the rules and submit your entry again. For this challenge I finally finished a quit I started when my daughter was 11 years old and she is now 32. The entire front is made of her clothes from when she was a baby and my grandmothers clothes. My grandmother passed away in 1982 and I kept all her dusters. When my daughter was here a few weeks back she ask if I would finish it so she could hang it in her foyer. This quilt is truly handmade. No rotary cutter or sewing machine. Every cut and stitch by hand. I love how it turned out and so happy to finally have it completed. It took me 2 hours to finish it. Just think it has been packed away that close to being finished for 21 years. I'm giving it to her for Christmas. I have not even told her I finished it. She will be so happy to finally have it to display. Thanks Judy and you have a wonderful weekend as well. Your quilt is just gorgeous!!!! Wow, what a awesome gift:) TFS! Congrats to the winner!!! What a gorgeous quilt!! Wowzers I love all the colors and patterns! TFS and Happy Friday!!! Wow! Love the quilt! Our daughter is 32 as well! Yeah I have a mobile I was making for my best friends daughter when she was fixing to be born, she is now 14 and its still not finished lol. 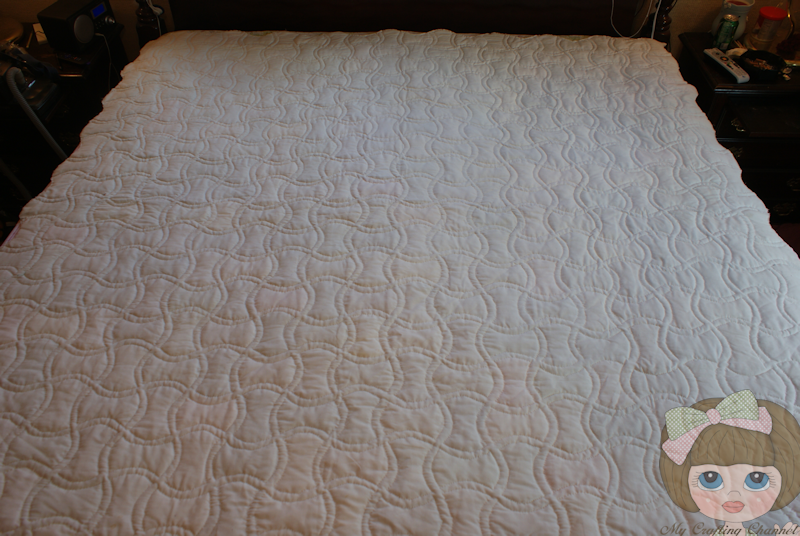 The quilt is so gorgeous. Your daughter is going to love it. Congratulations Migdalia! Funny how we start things and never finish them. Bee-utiful quilt. 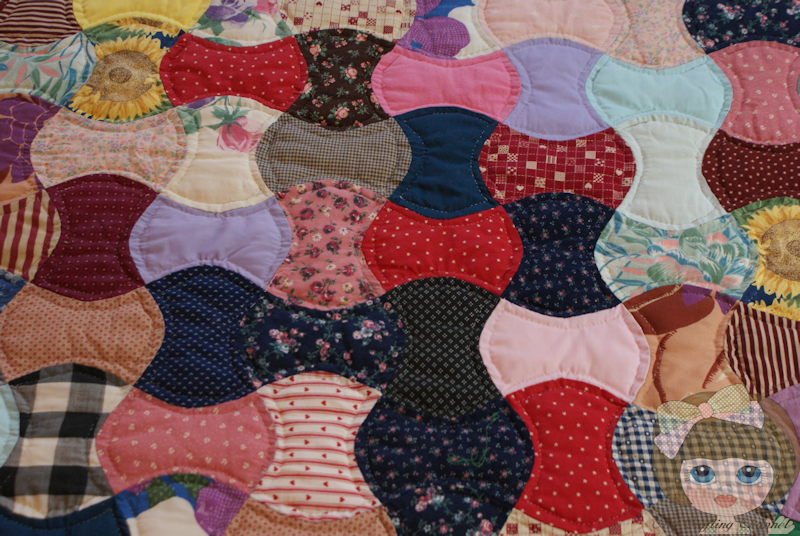 Have always been envious of quilters. I crochet and always admire handmade items like quilts when I go to the TX State Fair & other such events. Noticed that you indicated that the challenge is now mthly so you need to adjust the linky deadline which is showing 1 wk deadline. Thanks Melissa. Funny, see I never learned to crochet. Well I can do blankets but no fancy stitching. I always wanted to learn to make clothes. Thank you so much for pointing out the close of the link up being in a week. So used to having them close in 7 days I just did it without thinking. I fixed it and went ahead and fixed the SVG Saturday one as well. You are so observant. Wow this is awesome and such a wonderful treasure. Wow just beautiful! Thanks you are too kind. Thank you Nana! and Thanks to all for your sweet comments!! !So excited! !Did not know that I won!! !Judy left a sweet comment on being this weeks winner!Thanks Judy!!! Congrats sweetie. Hope you will consider joining us again this month. Your quilt is Gorgeous ! I hope someday that I can make one like that or close..LOL...Love the shapes!! Thanks. It is therapeutic for me. Beautiful piece of work.love all the colors.I wish i knew how to sew. 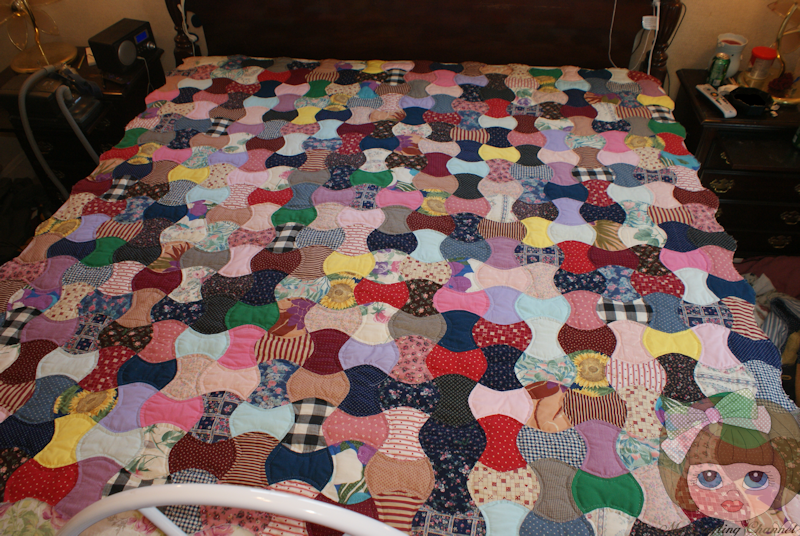 Oh this quilt is absolutely stunning and all hand made WOW! Your daughter is absolutely blessed to be receiving this work of love and art!! LOVE the hand sanitizer bag that is linked up! Awesome idea!! I will really try to play along in more of your fun challenges, and I hope that you will check out mine as well. I hope you are able to. I will check out your challenges. Your quilt is SO beautiful. Looks like a lot of hard work went into making it. I'm glad I found your fabric friday challenge. Love it! Thank you Linda for your kind words. Hope you will decide to play along sometime. I am ☺ and I'm looking forward to more Fabric Friday's. LOVE the cricut cover that was posted! So awesome!!!! Me too. I need to make some for my equipment. Used some fabric trim I had won some time ago & first time using it on my Triple Ice Cream Cone Friend Card. Congrats on your recent win at Scrappyrae. Tanks for linking up Melissa. The quilt is so amazing... I am always amazed by the patience that goes into making one..beautiful job!!! I am your newest follower and facebook fan! I also entered into this challenge and found out about you through Sherri over at Sherri scraps with Passion! Thanks Naomi. So happy you joined in the challenge. Ohmygoodness! what an heirloom! it is so beautiful! Thanks Pam, you are so kind. Omg Nana, thank you so much for reminding me. I totally forgot to link my card to your blog. I have gone ahead and linked my card to your blog, added your button to my side bar, and mentioned your challenge on my blog post:) I hope thats ok with you? Ps. 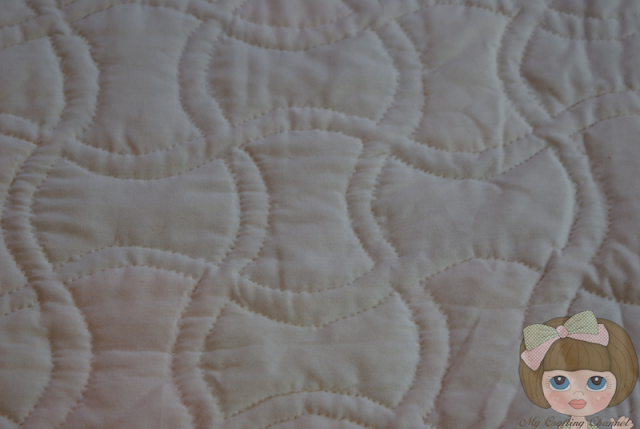 Your quilt is really cute, your daughter will love it! Fun Challenge. Thank you for having it. Could you direct me to the challenge blinkie. I have the blog blinkie, I am just not seeing the challenge one . Thanks for the fun challenge! I added your challenge blinkie to my right sidebar! I also used felt on my project! Happy Crafting! Hi Nana!! !Super excited that you said for me to link up my Shaped card "Sparkle and Fabric"...Thank You! !You are the BEST!!!! Hi Nana! I just linked up the quilt that I made for my "coming soon" granddaughter! Working on a couple more projects, but may not get them done in time for this month!